The Rotor BB Press Fit 4624 RD Steel easily accommodates your bike of choice with the press fit, 46mm diameter and 24mm axle BB shell. 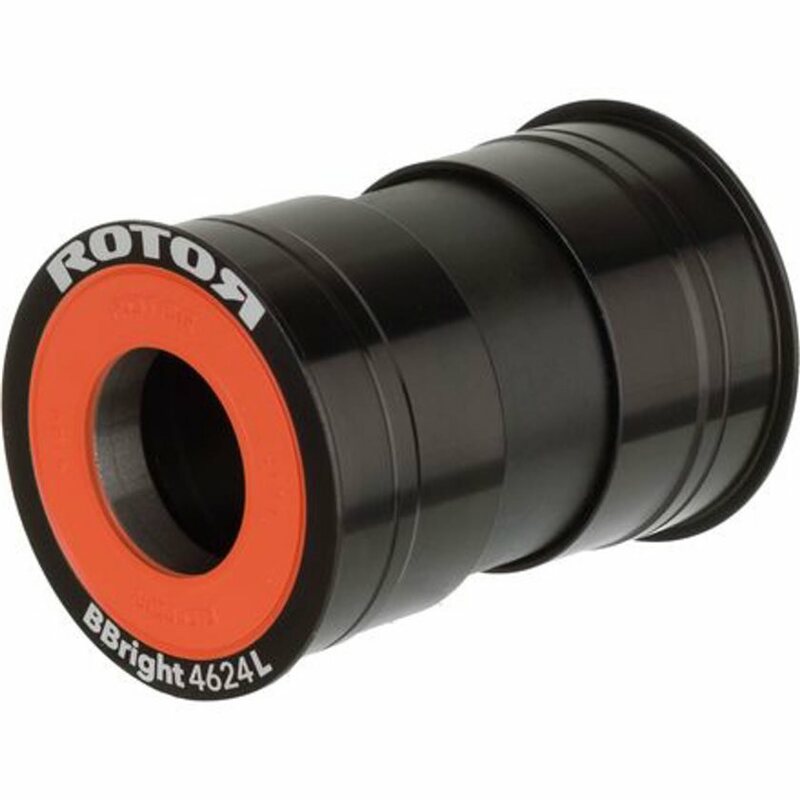 The Rotor PF 4624 Steel Bottom Bracket is part of the company's UBB System, which allows far more cranks to work with basically any frame. In this case, this BB allows for the installation of a Rotor 3D24 or Shimano 24mm crankset. Will this work on a Cervélo frame with a factory-installed Rotor Gossamer BBRight crankset which I intend to change to a Shimano Ultegra 6700 crankset? BEST ANSWER: I ordered this particular bottom bracket. Although the components fit the frame, what one needs for a Cervélo frame in order to install a Shimano hollow tech crankset is a ROTOR PF4624 BBRIGHT BB ROAD set.